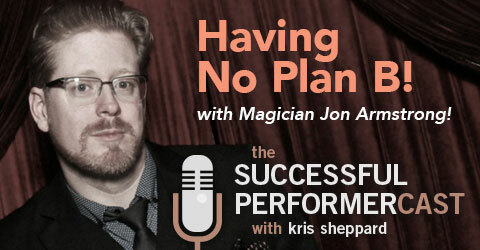 S7E11: Jon Armstrong — No Plan B to Magic! If you’re a magician and don’t know who Jon is, you’re probably new to the club or have been living under a rock. Jon has performed in such notable venues as Walt Disney World, Sea World, and Caesar’s Magical Empire where he headlined. He’s also taken his act around the world performing in over 30 countries. He’s a sought after director when it comes to producing quality magic acts and has consulted on films and TV shows like The Mentalist and Spider Man 3. This is in addition to many TV appearances, his most recent being a performance on Pen & Teller’s Fool Us. There’s almost too much to mention about Jon, like his comic series Smoke and Mirrors, his products for magicians, and his involvement in the Academy of Magical Arts. Even this is just scratching the surface! 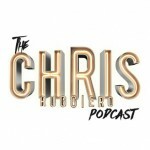 Chris Ruggiero Podcast – a show where variety entertainer Chris Ruggiero interviews other entertainers he meets in his adventures. In this show you’ll find incredible stories that will leave you intrigued, inspired, and ready to live your own dreams. He’s interviewed entertainers like Justin Flom, Jeff Civillico, Brett Loudermilk, and Barry Friedman. Having a fallback plan means you can fall back. • Talks about his early days. • Either he hustles or doesn’t eat. • Talks about some of his lean times. • Tells about some of the “day jobs” he’s had. • Gives a brief synopsis of his career up to this point. • Talks about how he got his gig at Rose & Crown at Epcot. • What they initially wanted him to do for his act and what he ended up doing. • Talks a little about the character he developed to Epcot. • Developing his material, some of which he uses to this day. • This is where he cut his teeth. • Reformatting his material out of “the British” character for venues outside of WDW. • Within a show, you can say anything to anyone as long as you beat yourself up first, and deliver your jab or witty remark to them with a smile on your face. • Talks about his first steps when getting there. • Connecting with other professional magicians in the area. • Working with Joey Burton, Apollo Robbins, and Armando Lucero doing strolling magic at Caesar’s Magical Empire. • Tells how he got lucky and became a featured performer at Caesar’s. • Why he left Vegas. • Surrounding yourself with people who are doing what you want to do and will challenge you to further yourself. • Dealing with dyslexia and overcoming it in daily dealings. • Systems he has in place to hep him work around it. • Why he’d much rather jump on the phone with someone rather than correspond in written form. • Nobody likes writing, they only like having written. • Performing at the Magic Castle and handing out business cards. • Engaging and befriending people and getting their cards or contact info. • Getting people on his email list. • Looking for creative ways to add value to people’s lives. • Focusing on his strengths in that he’s a really good people person so he uses that. • Sending “stuff” to his top clients. • Personalizing his interactions with his email list and clients. • Creating cool different ways to keep in front of his clients and prospects. • Referring other magicians when he’s already booked. Tells about a time very early in his career where he learned about the importance of hygiene. He literally felt like his career was over. Wining Close Up Magician of the Year from the Academy of Magical Arts. Go out and make as many friends and genuine connections with people as you can. Make human connections. Where can we find Jon Armstrong?